Print materials ABS, PLA, HIPS, nylon, PVA, Laywood, and more. Open-source software? MatterControl isn’t, but OSS toolchains are listed in “downloads” on their website. Taking cues from both the RepRap Air and Prusa, the Airwolf AW3D XL is a solid, robust machine with a lot of potential that produces quality, large-volume prints. Although beginners might find this Rep-Rap-style machine a little daunting, Airwolf provides ample documentation and support from start to finish. An included USB drive contains sample STL files and Slic3r profiles. The manual guides first-time users through a beginner workflow with MatterControl, a free application available from MatterHackers (Windows-only at press time, Mac version promised). We actually found ourselves using this simple and effective software more than the Repetier/Slic3r combo. 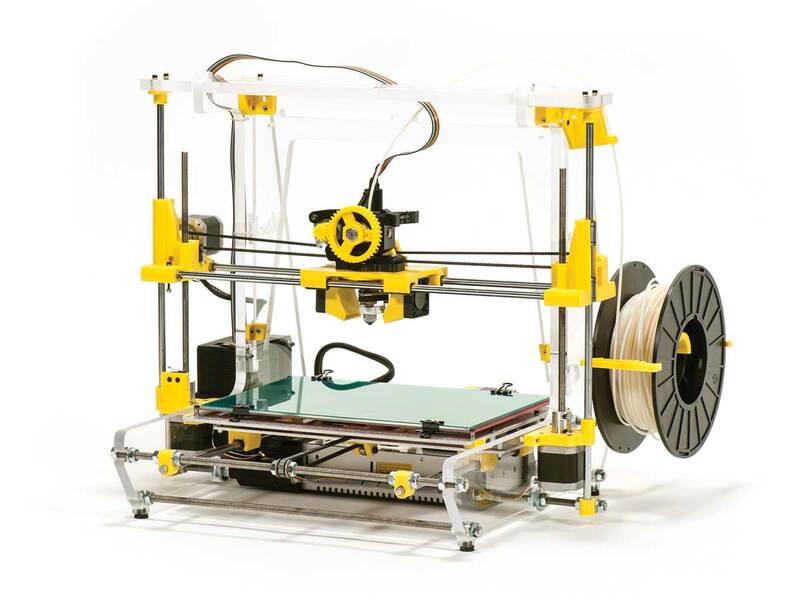 Hardware-wise, the Airwolf has a heated glass bed that makes it suitable for printing a variety of materials. Its acrylic frame gives it both structural integrity and a graceful demeanor. The electronics and wiring are mostly kept out of sight and away from prying hands, making it suitable for most environments. When we found ourselves challenged by a blocked extruder, Airwolf’s customer support was awesome, getting back to us by phone and email within 20 minutes and guiding us through the process of locating and fixing the jam. However, reaching the source of the blockage was not as straightforward as it could have been. Hopefully future iterations will address necessary access points. Large glass heated bed allows for printing in ABS and will not warp. The Deluxe model includes interchangeable 0.35mm or 0.50mm nozzles. If your nozzle jams, call Airwolf’s fantastic customer support. Use the Windows-only MatterControl software to simplify your slicing experience. 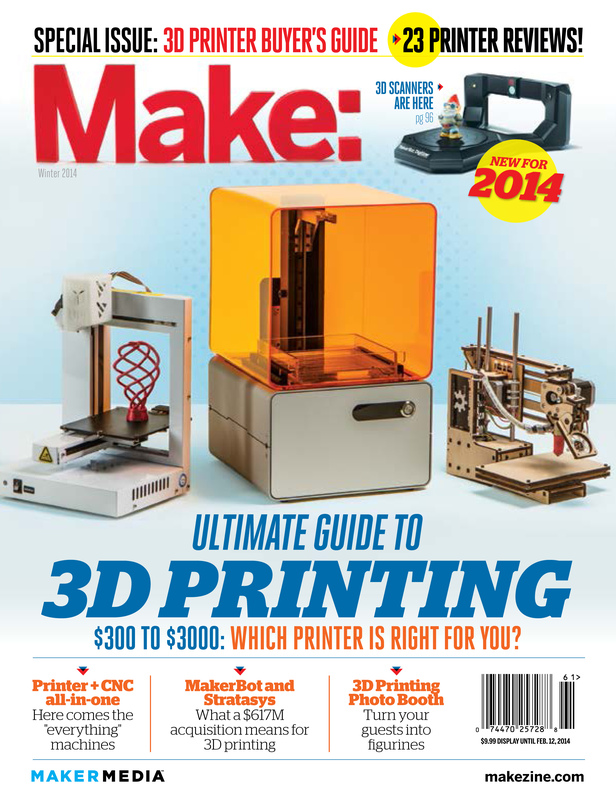 This review first appeared in MAKE’s Ultimate Guide to 3D Printing 2014, page 96. Check out the full issue for more!